Banana bread that’s mixed in one bowl, so light and fluffy yet made with wholesome wholemeal flour. 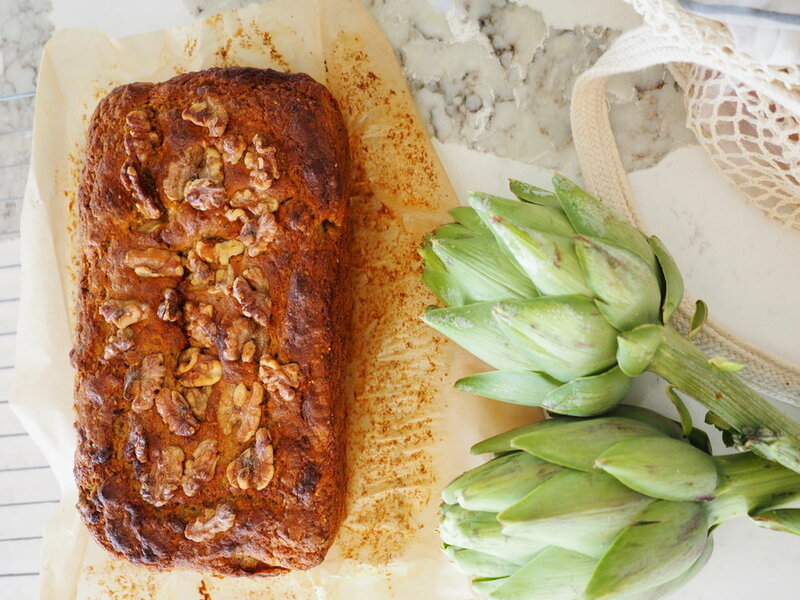 If you find yourself with a fruit bowl full of very ripe bananas, and fancy a slice of the most deliciously moist yet fluffy banana bread, without turning the kitchen upside down making messes, then this could well become your new go-to recipe. and made with simple, whole-food ingredients. it’s not made with white flour. Pre-heat oven to 180 degrees C and line a loaf tin with parchment paper. Mash wet ingredients together in a large mixing bowl with a fork. Place dry ingredients on top in that order and stir through gently with fork. Pour into lined loaf tin, and press a handful of your favourite nuts onto the top of the batter. Bake 40 mins at 180 degrees, or until a skewer comes out cleanly. Turn out of the tin to cool on a cooling rack. Delicious while still warm served with a dollop of coconut yogurt and a drizzle of maple syrup as a dessert. Or let it cool to room temperature and serve just as it is. we unpack our fresh fruit & veggies. Add a handful of your favourite nuts, chopped fresh or dried fruit, or even dark chocolate chips into the mixture to vary it - depending on what’s in your pantry & what takes your fancy.